Way of Courage Party can trace its brief roots back to a scandal which divided Lithuanian society into two camps in 2008. Scandal has continued to be the defining future of the political party which earned the support of 8.5% of voters in 2012. Of the candidates who entered Seimas with the party in said election, only one member remains among candidates in the one coming in October LRT radio reported. The paedophilia scandal which could be seen as the beginning of the party was sparked by a Kaunas businessman Drąsius Kedys contacting news media regarding his underage daughter having been sold to adult men by her own mother Laimutė Stankūnaitė. Kedys accused several individuals of paedophilia, including judge Jonas Furmanavičius and the then Seimas Chairman Viktor Muntian’s aide Andrius Ūsas. The gained traction in the media, with Kedys releasing footage of the child describing what had been done to her. The peculiar series of events would continue with Furmanavičius being found dead, suspected to be shot by Kedys, who disappeared and was later also found dead. Similarly Ūsas was found dead as well. This would then explode further into a battle for custody rights to the little girl, with future party founder and aunt Neringa Venckienė fighting for custody with Stankūnaitė. 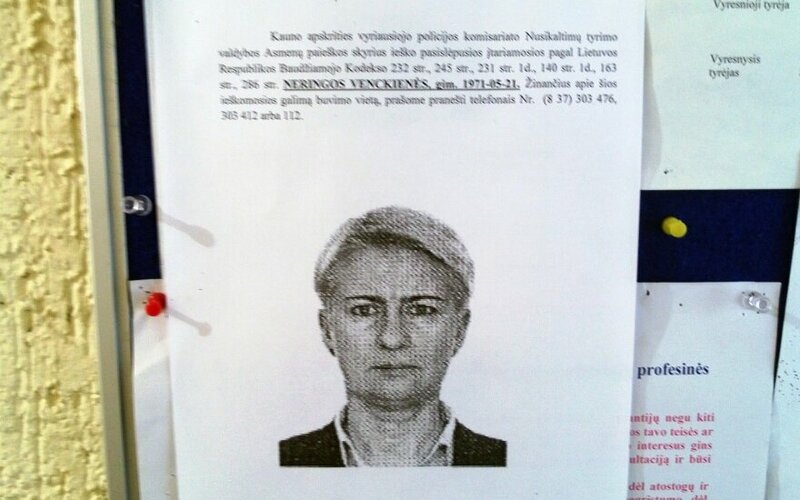 During the process Venckienė, then a judge in the Kaunas District Court, did not avoid expressing her opinion on a “rotten” law enforcement system and a “clan of paedophiles”, often being noted for profane expressions toward Stankūnaitė and also a number of officials. She was censured for her behaviour which breached the Judge Code of Ethics. The story split Lithuania into two camps, one in support of Venckienė, one in support of Stankūnaitė. The courts would rule to keep the child with the mother, however. The Kedžiai household and Venckienė were unwilling to concede and did not hand the child over until the police entered the building and took the child, returning her to her mother. From here onward the Way of Courage Party was created, focusing on combatting what it perceived as a corrupt law enforcement system and a web of paedophilia that encompassed Lithuania. Other topics provide more difficult with the party noting that “The euro can only be adopted in countries where the currency is already tied to the euro. The litas should be pegged to the euro so currently there is no such option.” [The litas, was pegged to the euro in 2002] The party would enter Seimas with seven mandates, earning 8.5% of the vote. Venckienė would continue to fight the court ruling, particularly with it turning around and accusations reversing onto Venckienė herself through findings in an investigation. With Seimas eventually ruling to remove her immunity as member of Seimas, the politician fled the country, albeit still taking the time to request her wages to be paid, which was denied. With the party head disappearing, many members abandoned ship, leaving to other parties such as Order and Justice. Currently the party is led into elections by a former priest Jonas Varkala. He participated in two thirds of the votes in this term’s Seimas, albeit only 5% of his own proposals passed. The second number on the electoral roll is the aunt of Venckienė and Kedys, A. Skučienė. The third number is Einaras Vildė, an expatriate in London, noted for wearing a band in the colour scheme of the Ribbon of St. George and images with a hammer and a sickle.